The Mission Houses Museum presents a new walking tour on Fridays, starting this week. 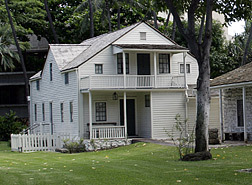 The "History Makers of Hawaii" tour includes stories about renowned residents who lived and worked in Honolulu during the 19th and early 20th centuries. The tour begins at the museum and visits sites in the greater Capitol area from 10 a.m. to noon. Attendees are invited to stay for a free Royal Hawaiian Band Concert on the grounds of Iolani Palace at noon. Reservations are required. Call 531-0481, ext. 16, 17 or 33. Cost is $25. 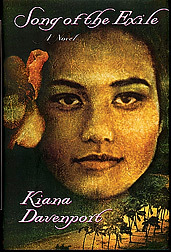 Kiana Davenport and Paul Wood, winners of the Elliot Cades Award for Literature, will accept their awards and read from their works at 7 p.m. today at Kumu Kahua Theatre. Novelist Davenport is the author of "Song of the Exile"; essayist Wood has published two humor collections, "False Confessions" and "Four Wheels Five Corners." The reception and ceremony are free. Note that the date has changed from the announcement printed in this section on Sunday. Uma Thurman and Luke Wilson star as a mismatched couple in "My Super Ex-Girlfriend."